Women at risk for osteoporosis and osteopenia can do a lot to help themselves, and diet is a good first step. Osteoporosis is a risk at menopause so to keep your bones strong and healthy these foods are essential. This condition affects over 3 million people in the UK with more than 500,000 receiving hospital treatment for fragility fractures every year. Labrix Laboratories are hormone testing experts and here they explore the relationship between hormones and osteoporosis. Labrix Laboratories are international experts in hormone testing and here present their findings on the importance of progesterone for the treatment of osteoporosis. October 20 is World Osteoporosis Day and here is a timely reminder for the risks to women at menopause. We all get a twinge now and again, but if this is happening regularly could changing one of these habits help you? 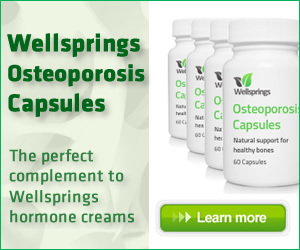 If you are interested in an effective, drug-free, alternative for bone health then here’s what you need to know. Menopausal Joint Pain – Is This You? Like most menopausal symptoms, joint pain is typically caused by hormonal imbalance. Here are some self help measures you can apply. How much do you know about osteoporosis and how you can reduce your risk?